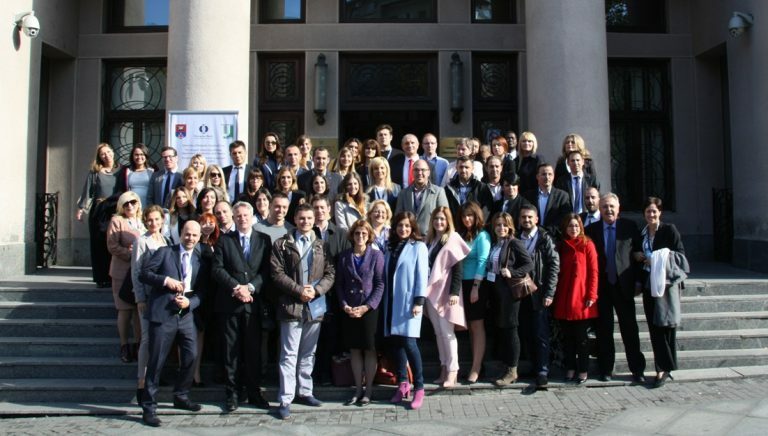 The opening ceremony of the new Public Procurement Management (joint degree) was held on 26 October 2017 at the University of Belgrade Faculty of Law. The course program was jointly developed by the University of Belgrade and the University of Rome Tor Vergata and provides for a joint degree. The master’s program takes place in Belgrade, but the lecturers come both from Serbia and from Italy. The academic course, whose lessons began this week, is one year long program and has gathered 34 students from six Balkan countries (Serbia, Croatia, Bosnia and Herzegovina, the former Yugoslav Republic of Macedonia, Montenegro, Bulgaria). More information on this program is available here. 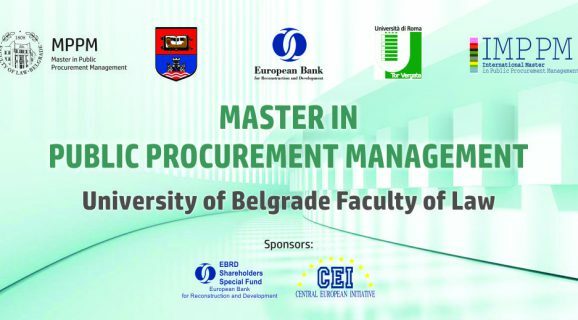 The Master is based on the Multi-Year Experience of the International Master in Public Procurement Management (Imppm) at Tor Vergata University, supported by the European Bank for Reconstruction and Development (BERS), and attended principally by public administration officials from SEE countries. The Master is aimed at students and professionals from the Balkan region who, without going to Rome, will qualify for a title recognized by the Italian University. This year’s program was officially opened by the welcome note of the Rector of the University of Belgrade, Vladimir Bumbasirevic, which was followed by the interventions of the Minister for Public Administration Mr. Branko Ruzic, Ambassador of Italy Mr. Giuseppe Manzo and Vice President of the European Bank for Reconstruction and Development, Ms. Betsy Nelson. 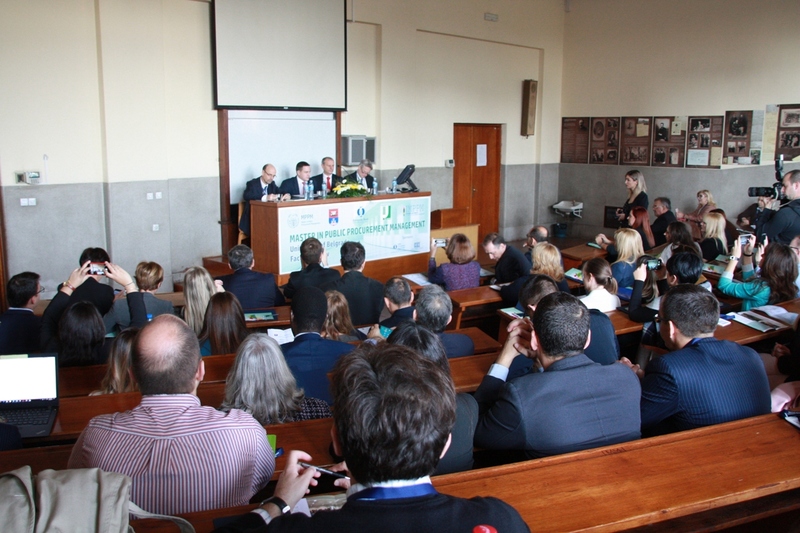 At the opening ceremony the audience was also addressed by the professors of the partner University from Italy: Prof. Gustavo Piga (director IMPPM), Prof. Annalisa Castelli (Deputy Director IMPPM), and Dr. Giulia Di Pierro (President Alumni IMPPM). 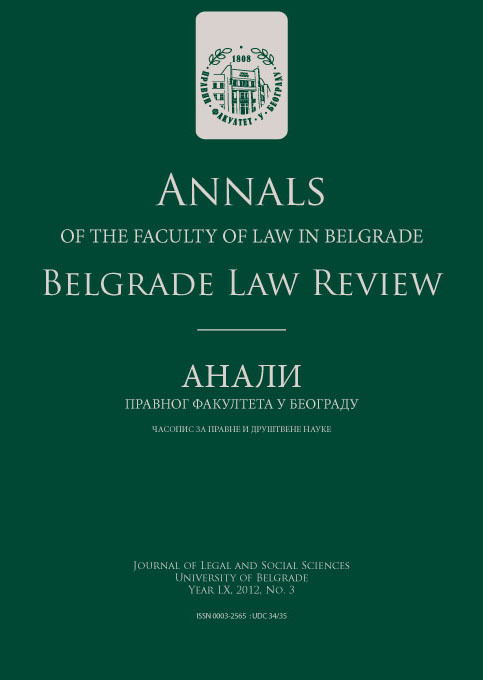 The addresses of all speakers were moderated by Prof. Dobrosav Milovanovic, Vice-Dean for Scientific Research at the University of Belgrade Faculty of Law and the Director of this new master’s program.